This show was broadcast on May 21, 2013. Gilad Atzmon, who will be performing tonight in Madison, Wisconsin, says the loss of freedom in today’s world is being driven not just by overt power grabs, but by a sort of Orwellian self-censorship that is pervasive on the left. His latest project is a re-reading of George Orwell – who, Gilad says, saw it all coming. BBC bio: Gilad Atzmon (Hebrew: born June 9, 1963) is an Israeli-born British jazz saxophonist, novelist, political activist and writer. Atzmon’s album Exile was BBC jazz album of the year in 2003. Playing over 100 dates a year, he has been called “surely the hardest-gigging man in British jazz.” His albums, of which he has recorded thirteen to date, often explore the music of the Middle East and political themes. 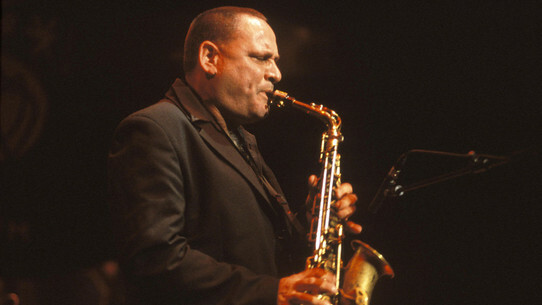 He has described himself as a “devoted political artist.” A profile in The Guardian in 2009 which described Atzmon as “one of London’s finest saxophonists” stated: “It is Atzmon’s blunt anti-Zionism rather than his music that has given him an international profile, particularly in the Arab world, where his essays are widely read.” His criticisms of Zionism, Jewish identity, and Judaism, as well as his controversial views on The Holocaust and Jewish history have led to [bogus] allegations of antisemitism and racism from [idiots among] both Zionists and anti-Zionists. His most recent book, The Wandering Who, has drawn accolades and outrage. 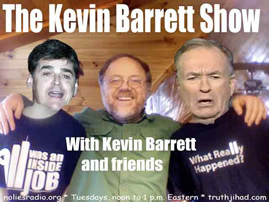 This entry was posted on Tuesday, May 21st, 2013 at 7:19 am	and is filed under 9/11, Death Squads, Econo, False Flag/Fake Terror, Freedom, Justice, Kevin Barrett, Martial Law, Mind Control, News, Occupation, Protest, War Crimes. You can follow any responses to this entry through the RSS 2.0 feed.